Currently ranked 76th in the world, Sree Krishna Priya had a hectic international calendar throughout the year. 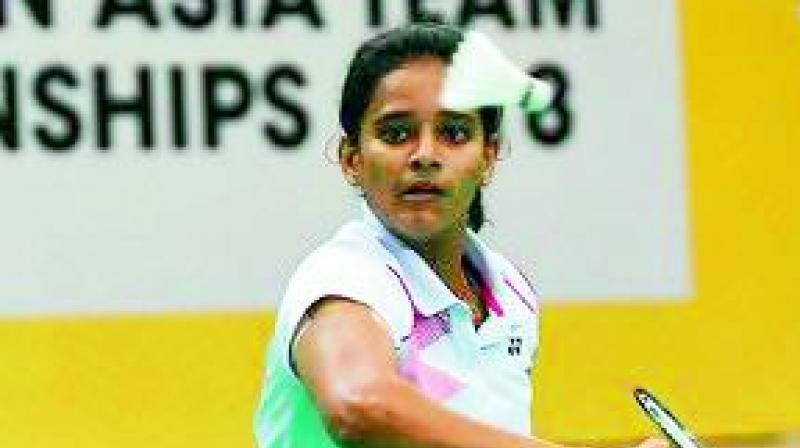 Hyderabad: Suffering from a shoulder injury, Sree Krishna Priya Kudaravalli has ruled out her participation in the Yonex Sunrise 83rd Senior National Badminton Championships 2018-19 that is being held at Guwahati. Sree Krishna Priya said “Injuries are part and parcel of a sports person’s career and you can’t get the disappointment get to you. It is only a sign to work harder on your fitness”. She is presently on treatment and physiotherapy sessions and is very positive and will be back on the circuit very soon, according to a statement here on Monday.